Following the Herd | Confident. Returns. Following the Herd – Confident. Returns. The following post comes from Edward, our summer intern. He has been helping me prepare for a presentation later this summer on behavioral finance. What follows are some really interesting comments about how our own behavior can affect our financial decisions… and in some cases it results in a negative outcome. Specifically, his comments deal with a very common behavioral concept called herding. The human brain is hard wired to agree with the majority of a group in most situations. Whether it’s a multiple-choice question, advice, or even the stock market most people tend to agree with the majority. 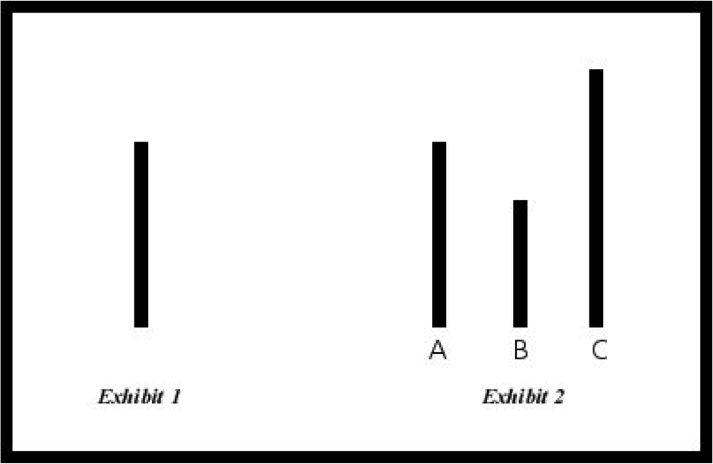 In 1951, Solomon Asch had created an experiment to test natural conformity. In this experiment he told the subjects they would be taking part in a vision test. A group of participants were gathered in a room, shown an image and asked very simple questions. They were then shown the image below. The question asked was “which line on the right matched the line on the left?” Despite the simplicity of the question, 32% of the subjects actually gave the wrong answer. What the participant’s didn’t know was that everyone else in the room were in on the experiment. Despite a room full of “participant”, there was actually only one person taking the test. These “participants” were told to provide a wrong answer. The actual participant would look around the room and see everyone had come up with a different answer. Then the participant would follow the lead of everyone else and copy their answer. Even though the other lines were off by a few inches, one out of every three would follow along with the crowd. One of the main reasons for their decision was social pressure. Most people wish to be accepted by the group. If they chose differently than the group then they might begin to feel like an outcast. How does this relate to the market? Many people believe that a large group couldn’t possibly be wrong. Even if you are 100% convinced that the group is wrong you might still feel like following the herd is the best option. 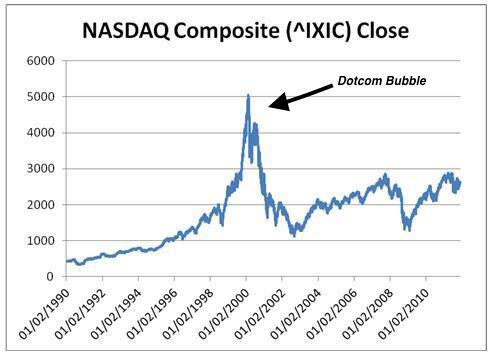 In the 1990’s many investors were turning toward Internet related companies. However, many of these companies had terrible fundamentals and were not appealing from a technical standpoint. What made people invest in these Internet companies was the fact that so many other people were already investing in them. The average person thought at the time that if thousands of other investors were investing in these Internet related companies then it must be a good move. This investment trend had lead many people to get trapped by the dotcom bubble that had cost them a large chunk of their portfolio.